'A wonderful self-portrait of a family with autism at its heart. 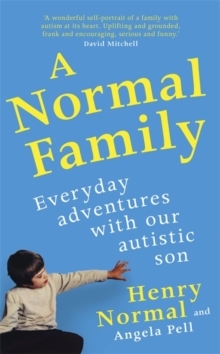 Uplifting and grounded, frank and encouraging, serious and funny, A Normal Family affirms that there is life after an ASD diagnosis - an atypical life, yes, but an abundant and nourishing life just the same' David Mitchell, author of THE REASON I JUMP'The book is about how [Henry] grieved for the life that Johnny isn't able to have - and learnt to celebrate the one that he does' The Times'A candid and frequently funny book' Radio Times'Honest but funny' Sunday Express'Pell and Normal describe hopes shattered, dreams deferred and victories gained in this brave, funny, and searingly honest memoir' Daily ExpressJohnny is twenty. He likes music, art and going to the beach. He is also autistic - in his case that means he will probably never get a job, never have a girlfriend, never leave home. 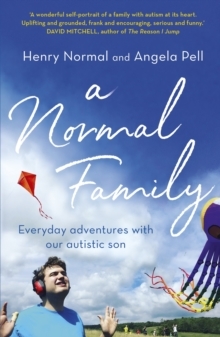 And over the last two decades this is what his father, TV producer and comedy writer Henry Normal, and mother, Angela Pell, have been trying to come to terms with. This is a book for anyone whose life has been touched by autism - it's about the hope, the despair, and the messy, honest, sometimes funny day-to-day world of autism, as well as a wonderful, warm book about the unconditional, unconventional love between a father, a mother and a son.